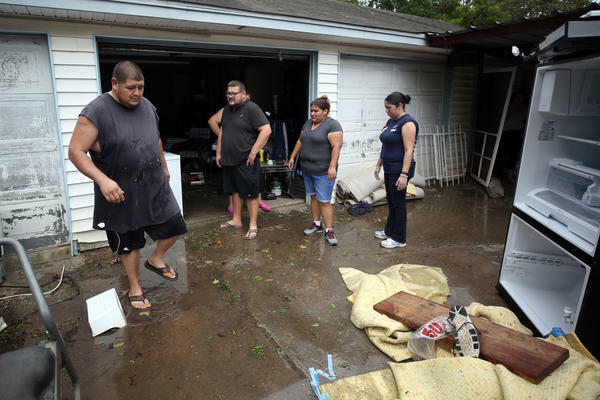 Raul and Christy Garcia and family members clean out their house and garage Wednesday in East Houston after the floods. 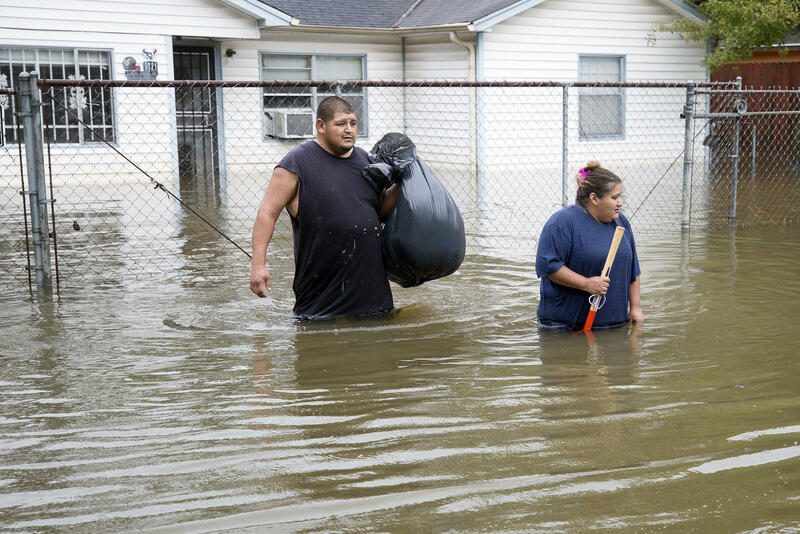 Two days earlier, Christy and Raul Garcia evacuate from their East Houston home as Hurricane Harvey brought record floods to the Houston Area. 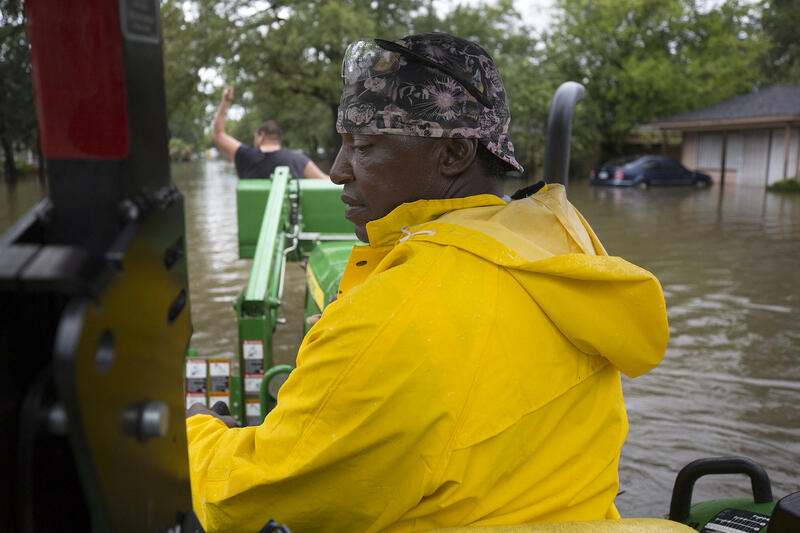 Christy Garcia was rescued from her Lakewood Community home by Mel Harris who used his John Deere tractor to pull hundreds of people out of their flooded homes. Mel Harris rescued over one hundred residents from the flooded Lakewood community in East Houston, including Raul Garcia, who waves in the front of the tractor. 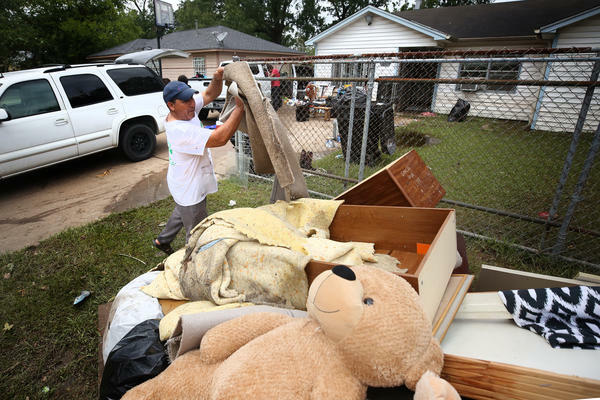 With the skies finally clearing over the Houston area, residents are getting their first chance to survey the damage and catalogue what was lost. Christy Garcia spent the day Wednesday overseeing a small army of family members helping her sort through practically everything she owns. After the floods, every item that made her modest white two-bedroom into a home is a decision: Is it salvageable, or not? Just days ago, Garcia, her husband, Raul, and her two grown children watched in horror as the floodwaters rose in their working-class neighborhood in East Houston. 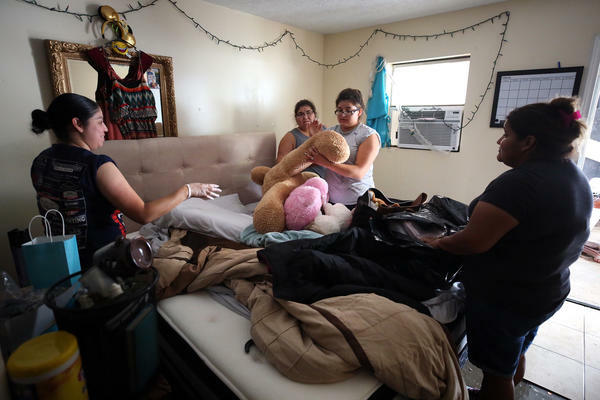 The family frantically moved their most precious items to their highest shelves, put their nice couches on folding tables in hopes they’d be spared, and then, they waded into the street in search of higher ground. Trucks passed. One picked them up but got stuck in high water. In all, it took 14 hours for them to reach the emergency shelter at the George R. Brown Convention Center downtown. "It’s hard, but we’re gonna get through it. A lot of my neighbors had babies, kids. We need the help out here. They came late to help us," Garcia says. Now, the curb in front of Garcia’s home is piling up with ruined carpet and soggy mattresses, waterlogged furniture, clothes and bedding. It looks like this all down the street. Inside the house, family members use brooms to push the last bit of stinking water out the back door. The Garcias managed to save important documents and family photos. Her daughter lost a guitar, but saved two electric keyboards. Husband Raul’s collection of diecast model cars is mostly unharmed. These are small but important successes. They stand in contrast to the incredible needs facing Garcia and so many in this neighborhood. "Beds, clothes, shoes. You can see we just left with whatever we could grab that day, and that was it," Garcia says. More than anything, Garcia says rebuilding will take money. She’s already applied for FEMA help and filed car and home insurance claims. 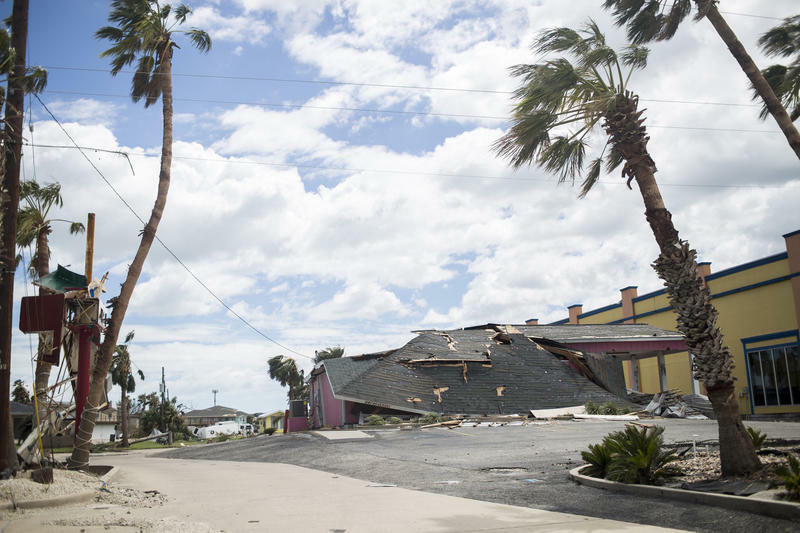 "It’s just like rebuild and hope for the best that everything comes out OK with the help that they said they’re going to give us — insurance, FEMA-wise, everything, that we will get the help, that they don’t stall on us, that they’ll help us," she says. With that, Garcia returns to the work at hand, sorting through the wreckage of a comfortable life that is barely recognizable after Harvey. 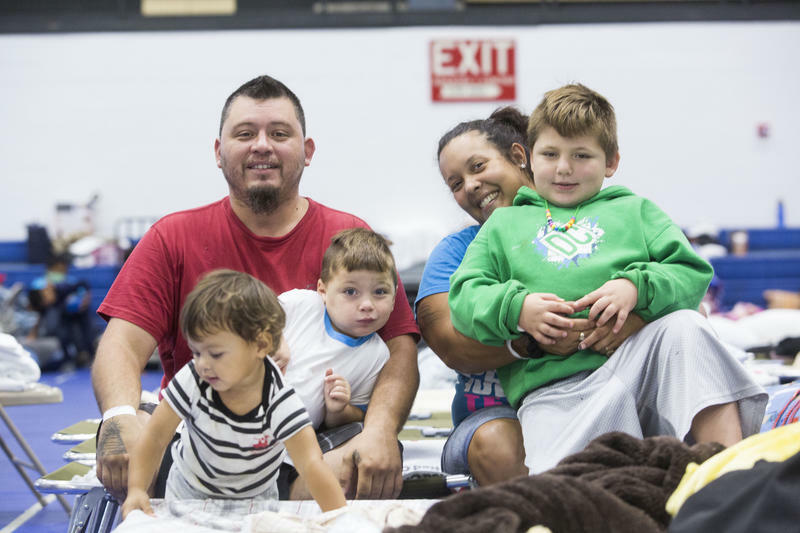 Some evacuees from Hurricane Harvey are coming up on a week living away from home. That’s a long time to spend on a cot in an unfamiliar city, especially if you’re a kid. So what is there to do? At the Delco Center shelter in East Austin, one 10-year-old volunteered to help others. 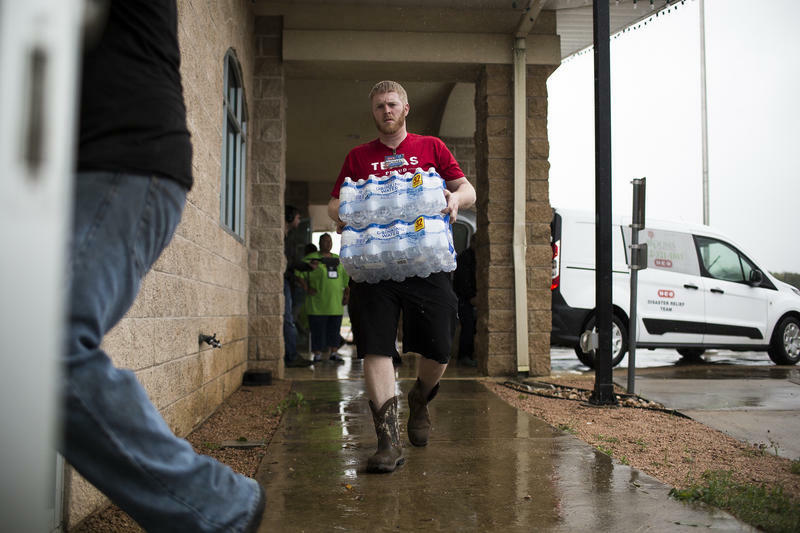 Donating directly to a charity or nonprofit organization is the best way to help the thousands of Texans displaced by Harvey. You can also support local businesses collecting donations or pledging a portion of their proceeds to storm relief. 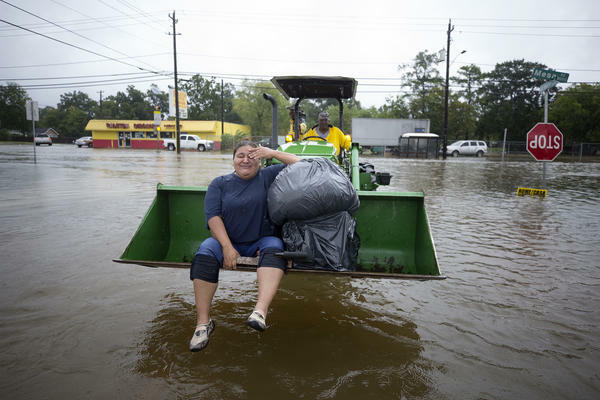 As flooding from Tropical Storm Harvey continues in Southeast Texas, Gov. 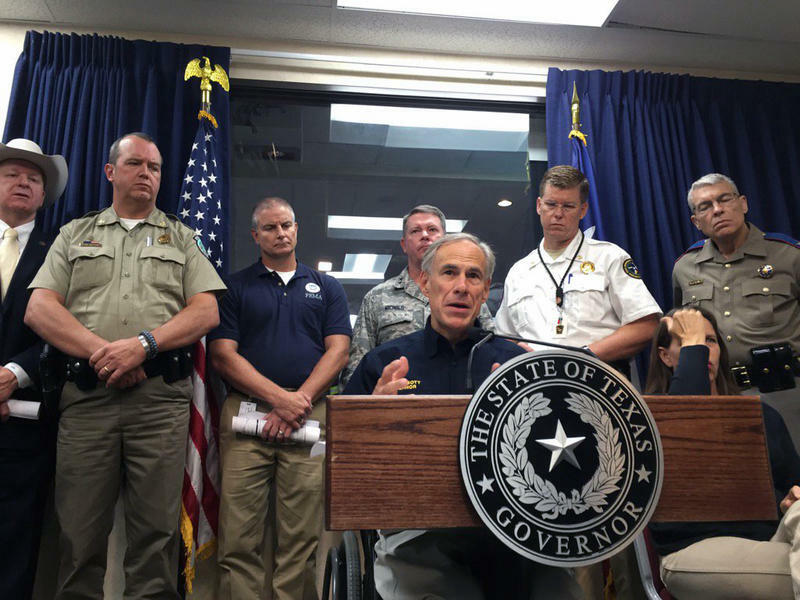 Greg Abbott said the number of counties on the federal government’s disaster declaration has been expanded to 33. That expansion includes counties outside of Harvey's path that are helping evacuees in shelters – including Dallas, Tarrant, Bexar and Travis.